Summer means wedding season and if you’re a young adult woman, there’s a good chance that you’ll be a bridesmaid in at least one wedding this year. If you’re the maid of honor, there’s the additional responsibility on your shoulders to make sure that everything goes well. If you’ve been put in charge of coordinating outfits for the bridal party on the day of the wedding, here’s some good news. We’ve put together a list of ideas for bridesmaids t-shirts that will look great in pictures and will provide an excellent keepsake once the day has passed. If you’d like to keep it simple, print one t-shirt that says “Bride” and print the rest of the t-shirts simply saying, “Bridesmaid” for all the bridesmaids in the wedding party. For ideas on how to add a unique flair to the bridesmaid t-shirt design, skip ahead to the end of this article. Are you in a wedding party with a bit of a bridezilla? Sometimes it can be beneficial to be proactive about deep breathing and meditation. Or, you can just have all of the bridesmaids wear a “Keep Calm, I’m the Bridesmaid” t-shirt for more or less the same effect. It sounds pretty cool, right? Being the entourage. And you really are, for the day! Proudly boast your important part in the bride’s big day by showing everyone you’re a part of the entourage. For a variation on this theme, “Brides Posse” also works nicely. A wedding is not Bride against Groom, but you can still show what side you’re most involved with when you wear a “Team Bride” t-shirt. Customize it with the bride’s name for a more personal look and feel! 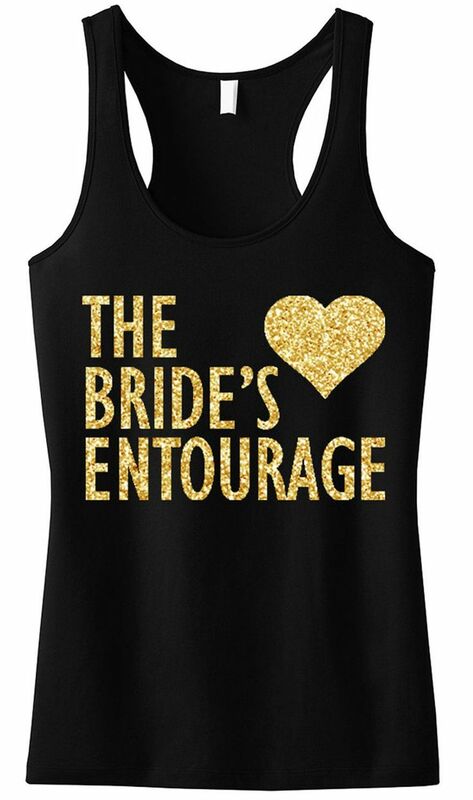 If your bride has a great sense of humor, your bridesmaid t-shirts may simply contain a reference (or many references) to the cult movie Bridesmaids. IMDB has an extensive list of options directly from the movie to inspire your designs. Does your bride love reality TV? Why not incorporate this interest into your bridesmaid t-shirts? 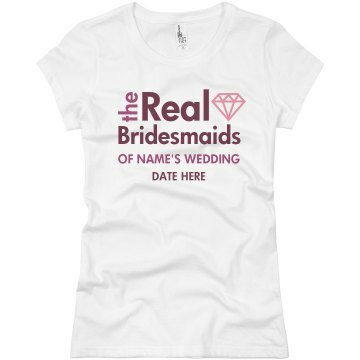 Fill in the rest of the shirt by personalizing based on the bride’s name or the wedding venue location. Bridesmaids have to stick together for the bride’s sake, especially if things go awry on wedding day. 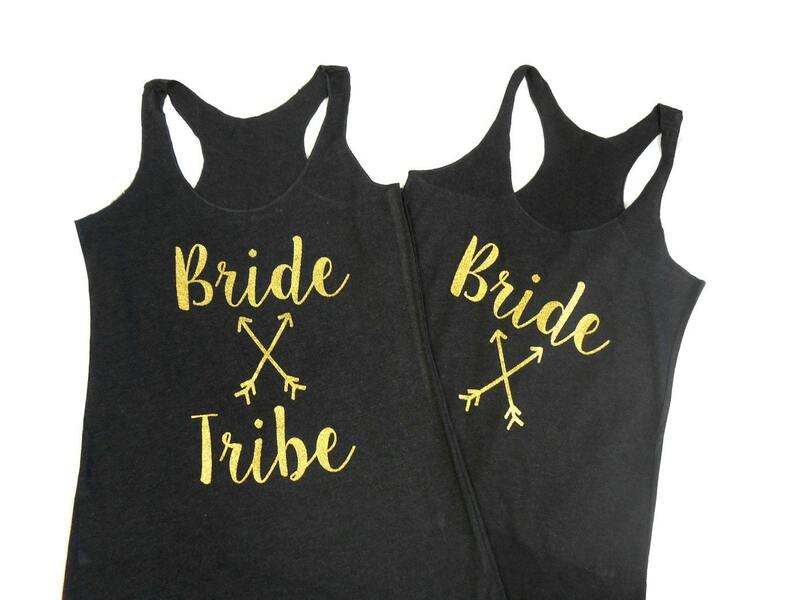 Show your commitment to the cause with “Bride Tribe” shirts. Wedding Colors: Match bridesmaid shirts to the wedding colors picked out by the bride and the groom. 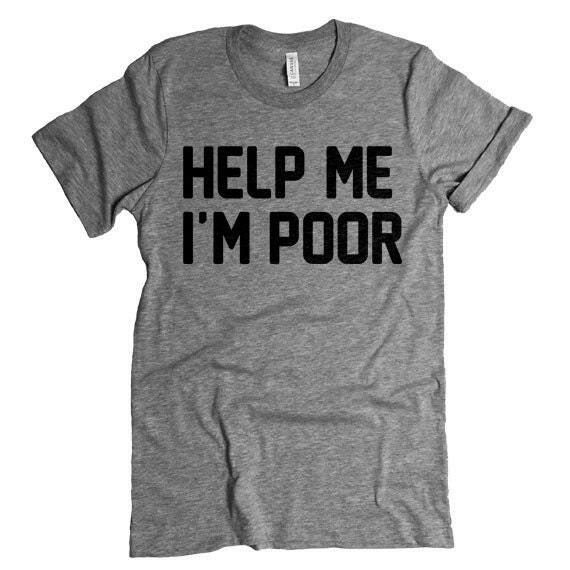 These t-shirts will be unique if you go to multiple weddings as a bridesmaid and start a collection of bridesmaid shirts. Rhinestones: Bedazzle shirts with shiny gems to make them stand out in a pretty way. Names: Besides the arbitrary “Bride” or “Bridesmaid” label, why not include each person’s name? Rush Order Tees makes it possible to bulk print t-shirts with individual differences. 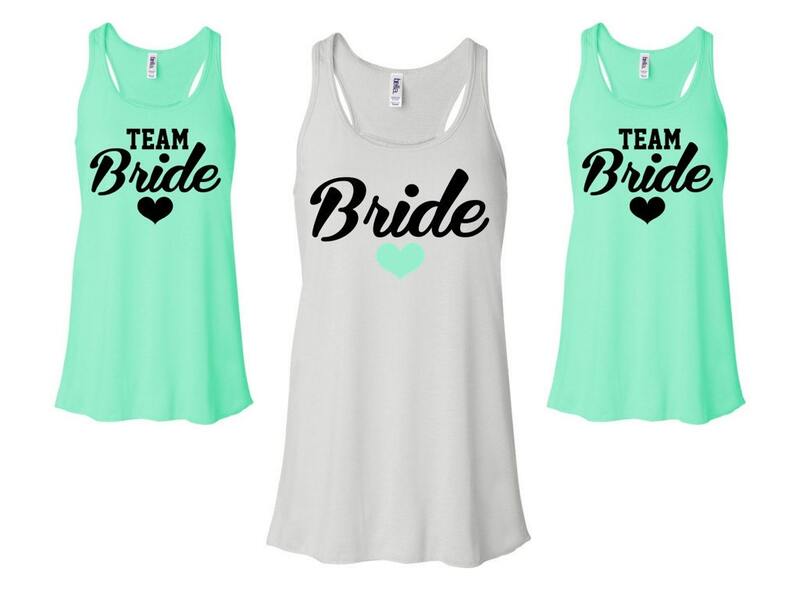 Which one of these bridesmaid t-shirts could you see your crew wearing? Is there a design we forgot to include? We’d love to hear your thoughts in the comments.